I write this to you from the heart of the French Alps where the snow is falling heavily outside. Tomorrow morning when I wake up to train the temperature will below freezing. Not only that, it will be dark. I don't have to explain this situation to you, I know you folks know the drill! It's winter and it's here to stay. It's not easy getting up to train and stay active but we have got to do it. You've likely been setting your fitness goals, challenges and adventures for the year and I feel we need to stick together during these winter months to help each other get through it. 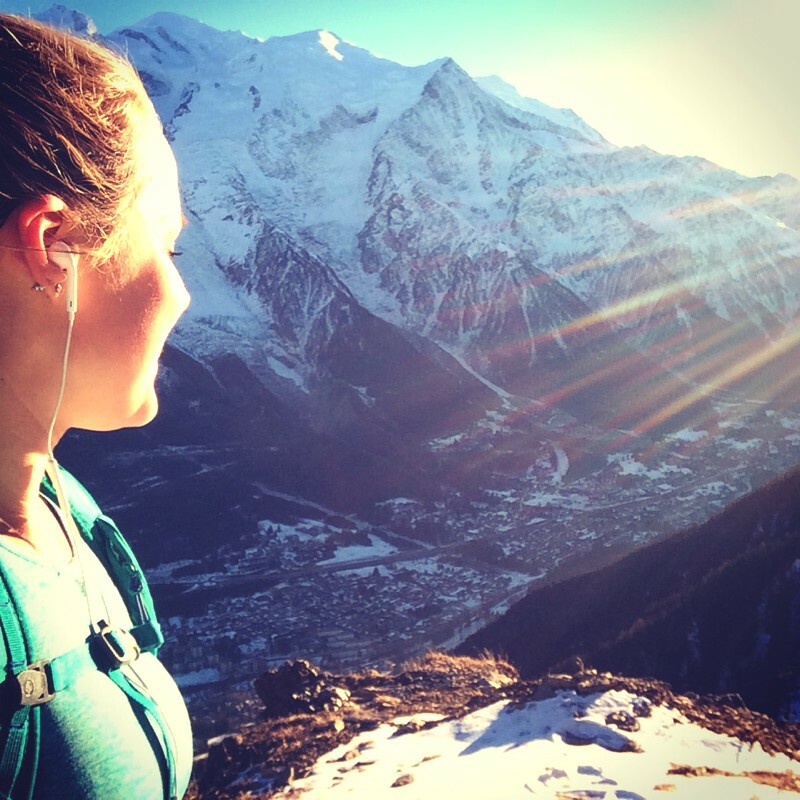 I do appreciate that I am incredibly lucky to wake up in the mountains every day, to look at Mont Blanc from my bedroom window and to have this challenging and beautiful environment to train and adventure in. The views certainly motivate me, but there are definitely days when I feel tired and don't want to go out and it's on those days when my social media feed can really help to give me the boost I need. Adidas have a brilliant campaign on this winter called #openallwinter encouraging people to get out no matter the weather and share their pictures on social media using that hashtag. I wanted to share with you what I've been up to this winter and a few of my favourite pictures I've snapped along the way inspired by YOU, the mountains, my goals and the Adidas campaign. As an aspiring mountain athlete, strength training is a hugely important part of my training. It builds endurance and helps to prevent injuries. Since moving to Chamonix, Charley and I have set up a little gym; we have a bunch of kettlebells, a pull up bar and a TRX. It's more than enough get a great session in and boy do I feel it! We normally train outside but some days it's too cold so we move into the garage. We have some big goals this year so we have enlisted the help of Steve Macdonald to set our training program. Trail running is my new love! Considering running has been the sport I've historically felt I've been terrible at and not enjoyed, it's a huge turnaround for me to feel the way I do now. Not only do I LOVE it, I can also feel improvements in the last few months and am starting to believe I could be ok at it. Still a long way to go, but it is literally all about baby steps! The mountain trails are pretty steep out here in Chamonix so sometimes I can walk up mountains quicker than I can run up. This might sound a bit strange, but it's because when I run I am still taking relatively small steps and I get more tired which means more rests. Walking provides me with a solid, continuous movement forward and is brilliant for building endurance. I love going for walks, it's a great way to have conversations and make friends too. Last week we had Sean Conway in town for a hit of winter adventure and we took a few walks. One was more adventurous than we had bargained for with deep powder and closed lifts. Good fun though! Ever since the first time I went skiing aged 11, I fell in love with the mountains. I remember the feeling of skiing down the mountain with the wind in my hair and my eyes streaming. I had a taste of what the mountains had to offer and the thrill of adventure and vowed that one day I would live here. Funny how it happened but 18 years later... I love skiing, but it's definitely a sport that's been neglected and it really needs a bit of TLC to catch up. We had our first powder day in Chamonix on the weekend and it was immense. I certainly have a lot to learn but I have to remind myself that nothing worth having is easy. It all takes time. 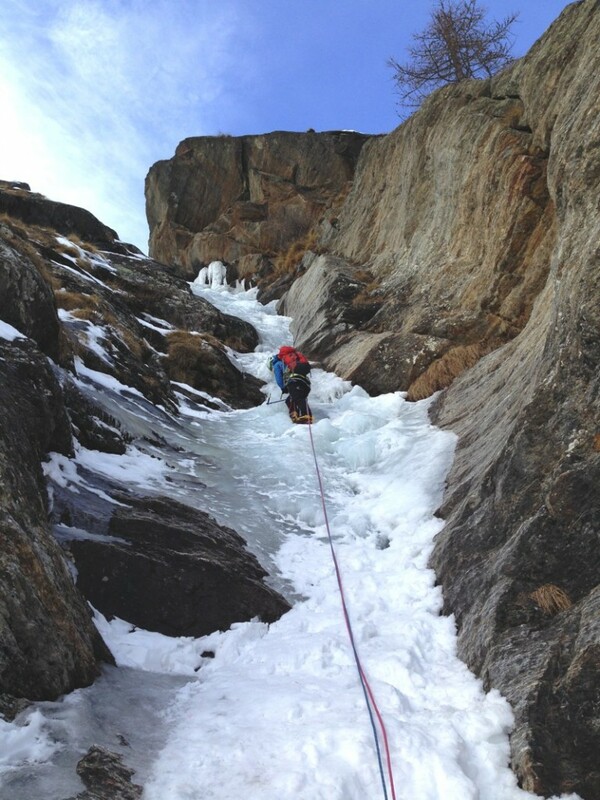 Learning to ice climb isn't something I ever imagined myself doing! I would probably have thought that's for really gnarly people, but there I am swinging axes, screwing ice screws into frozen water and clinging onto the ice with my crampons. It's quite methodical the way you climb up ice and I'm getting really into it. I love how you have to assess the ice and learn about the different conditions; the colours of it, the way it sounds when you get a good or bad placement, how cold it can be and how beautiful it is. All of these intrigue me to go out there and experience it more. It's a real adrenalin rush and feels quite epic when doing it. Let's face it, we're all foodies at heart right? Charley and I love having people over for dinner and socialising after a day in the mountains. How do you relax after a big training session or race? Share your pics with me on social media I love seeing what you're all up to. If you're looking for a bit of inspiration, check out my blog post on sunrise cycling, it's well worth a try! If you share you pics and tag @adidasoutdoor with #OpenAllWinter there are prizes for the best photos, think this one is a trip for you and 4 friends to Canada! Even more motivation to make the most of the winter. Have fun folks but be safe out there! Newer PostAre the toughest people in the world men?